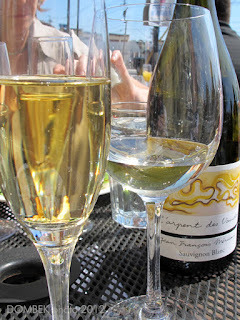 A minerally pale yellow in color, this wine has citrus and a slight hint of peach on the nose and palate, along with notes of honeydew melon and subtle white pepper. Elegant and well integrated, like nectar when it comes down to temperature a bit, yet expressing a clean and crisp style, luxurious and restrained all at once. Delicious! Under $15.99. This wine from the Loire Valley in France, was created from a single parcel of 60 year old vines, hand harvested and organically farmed. It was aged in stainless steel for 7 months on the lees (sur lie), with stirring for richness. By the way, lees is the coarse sediment including small grape particles and yeast cells, that accummulate during fermentation. Winemakers employ this method of aging, leaving wine in contact with the lees for added complexity and richness. It is certainly apparent here and masterfully done by winemaker Jean-François Mérieau, who incidentally took over the family estate in 2000. The Vignoble des Bois Vaudons (Vineyards of the Vaudons Woods) has been run by the Mérieau Family for three generations. 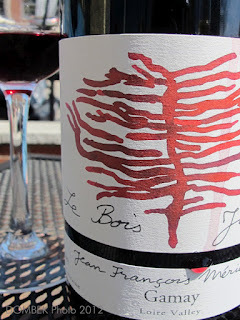 Jean-François has committed himself to rediscovering the soils of the Loir-et-Cher with a completely hands-on approach, working the soils, plowing, and harvesting by hand. Les Bulles Sparkling white 2007, is a completely enchanting blend of Chenin Blanc with a small amount of Chardonnay. A richer golden lemon color, with aromas of stone fruit, this is lush and clean with fine bubbles. This stays on the lees for 36 months. A fabulous aperitif ... and I love the label. Great to bring to any celebration! Especially affordable sparkler at around $15.99 - $19.99! 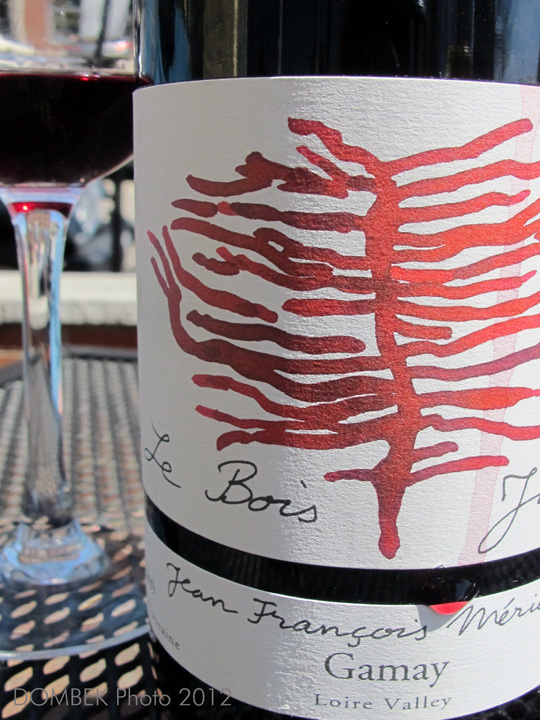 Le Bois Jacou 2009, made from 100% Gamay grapes is bright ruby red in appearance, with a hint of earthiness on the nose, boysenberry and cranberry on the palate. Lightly woodsy with lots of red fruits and some spice, it has lovely depth for a light red and a playful buoyancy. This is a wine to drink young so have now! Enjoy slightly chilled. Also under $15.99. We had the distinct pleasure of meeting with Raphaelle Martin-Watson, representative for Jean-François Mérieau this past Sunday, with the warmth of spring sun all around us. She was passionate about the wines and eager to share with us. 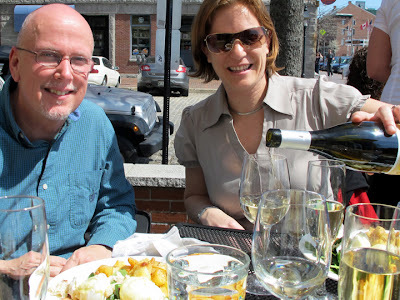 A glorious day to be sitting in an outside cafe’ (The Farmer’s Table, Commercial St. Portland), tasting the wines along with the gastronomic delight of seafood eggs benedict with fresh lobster. Heavenly pairing!